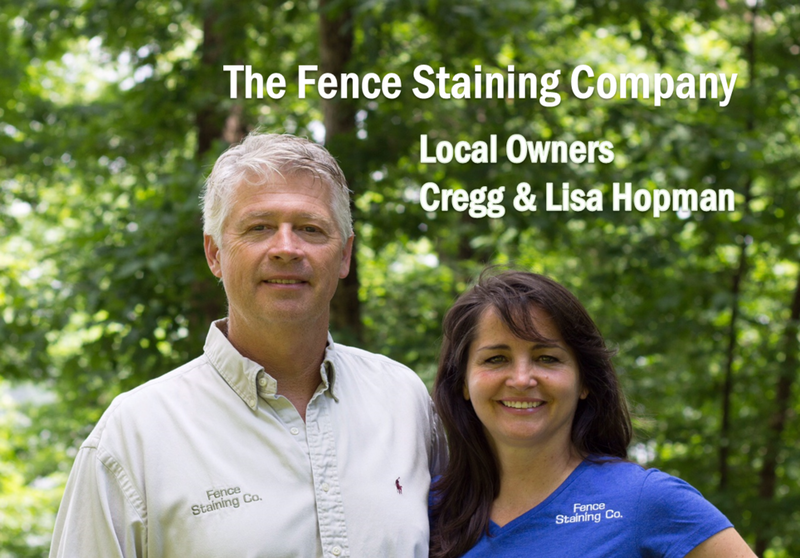 About Us — Fence Staining Co.
We are Cregg and Lisa Hopman, the founders of Fence Staining Company. Since 1999, we have been serving our neighbors in the Northwest Arkansas community. Our passion is providing a service that will enhance the look of your home. We firmly believe the best ingredients to get the job done are hard work, trustworthiness, and the satisfaction of our clients. Why Choose Fence Staining Company? Our friendly staff are family - literally. The Fence Staining Company is a family owned business that has never changed hands. We strive for the expertise of industry leaders, but without the added restrictions of a large corporation or franchise. We truly care about each and every customer, which is why we personally offer a 3 year warranty on our products when most staining companies will not offer warranties at all. We have a carpenter on staff for any repairs that are needed, and even use a wind guard to protect your home from overspray. The bottom line is we treat our clients like we would want someone to treat us. But don't just take our word for it. Give us the chance to prove it.